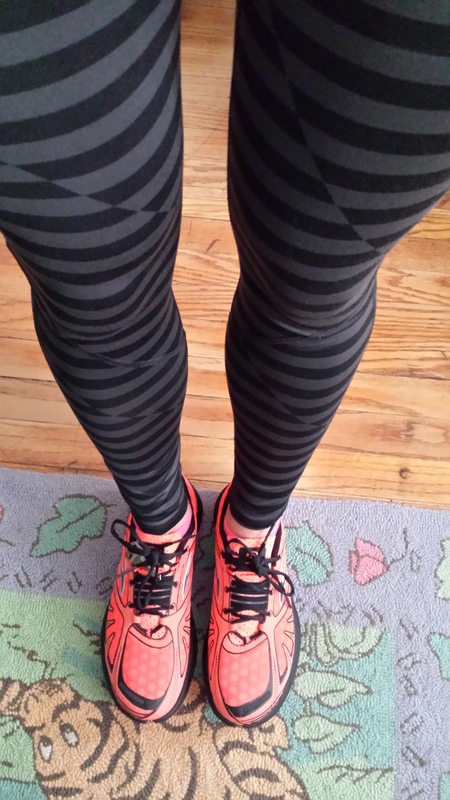 I got to test out my new Pure Grit’s yesterday during a hill run and if I do say so myself, I really like the color. Might be my favorite color running shoe so far. And of course they feel like a dream on my feet! The hill workout was difficult because I ate 2 bowls of cereal right before I ran out the door. Bad idea. It was 7 miles of stomach issues. Note to self, cereal doesn’t work as a pre-run meal for me and neither does running directly after said cereal. 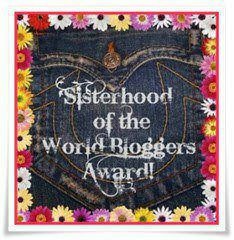 I meant to do this last week, but I had a fellow awesome blogger that nominated me for The Sisterhood of the World Bloggers Award. It made me feel all warm and fuzzy so it’s time to answer the fun questions and pass it along to a few blogs i love to read. Thanks again Emmeline! 1. What is your favorite color? Wine. Can that be a color? i’m sure it’s called burgundy, but wine sounds delicious. If i had to choose based on wardrobe, it would be any and every shade on the gray scale. 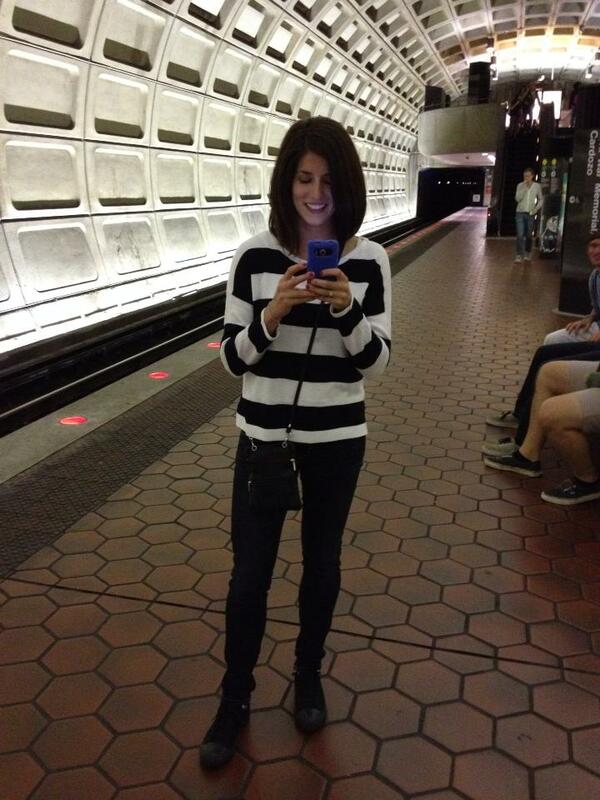 Note the pic below, grey and black tank w/wine pants. 2. Favorite animal? Dogs, specifically terriers. 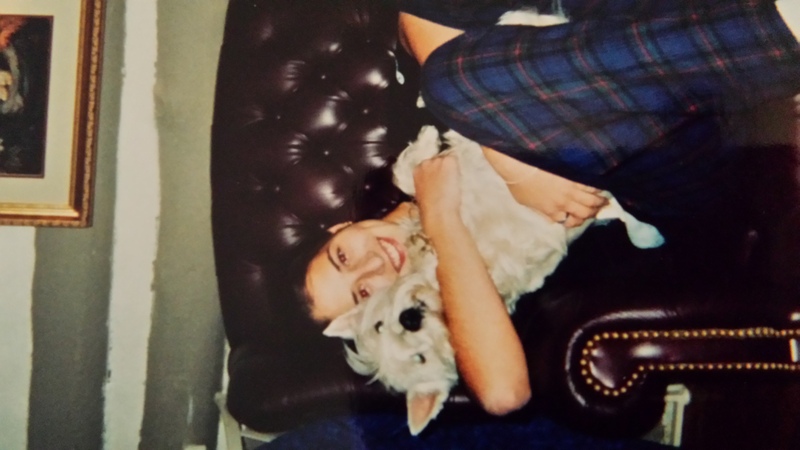 I had a Westie once, he was the coolest dog ever. And bunnies. I love me some bunnies. 4. Facebook or Twitter. Facebook, but i’m slowly relying on the blog and Instagram for my social media fix. 5. Favorite pattern? stripes, haven’t you noticed? 6. What is your passion? I love helping people become a better version of themselves. It makes me feel like I have a purpose being a personal trainer and it’s so incredible for clients and friends to envision what they think they can do and then exceed it. I also like to think I have a passion for life. I love to try new things, listen to new music, visit new places, eat new foods, meet new people. Maybe it’s just ADD maybe it’s passion! Now I get to nominate a few people to do the same and pass along the Sisterhood Award! 5. Post the links to the nominees’ blogs and notify them on their blog. I’m choosing a few i’ve probably mentioned before but I can’t help what I like! 1) Megan @ The Lyons Share – She brings a really great balance of nutritional health and mental well being into the running blogosphere. 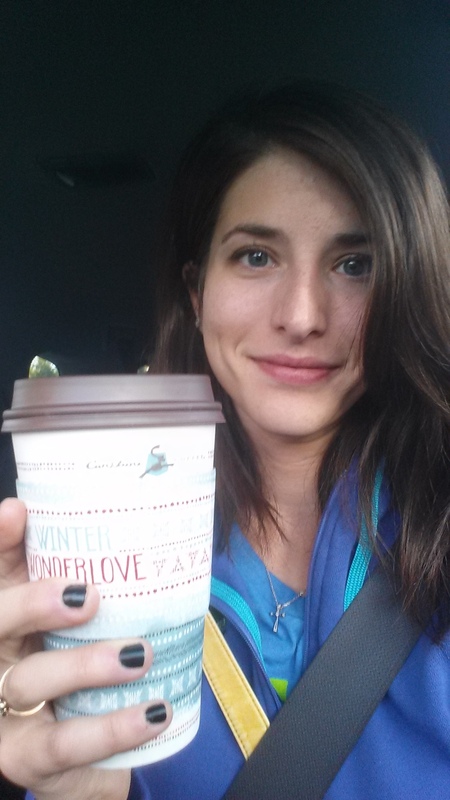 2) Sarah @ Once Upon A Lime – She’s hilarious, works with Oiselle and is working through a hamstring tendonitis injury. 3) Kristina @ Blog About Running – This chick started running and just took off.. She has major running goals, and is running her first marathon in Portland. 4) Lily @ Lily Runs the World – Lily’s training for her first marathon and she and her boy just quit their jobs to tour around Europe, can’t wait to hear about this journey! I’m heading to the gym for 5 easy treadmill miles. What’s your workout today? Thank you Cori, how exciting!!! ps those striped pants in the first picture… amazing. Where are they from? YES!!! I was hoping someone would notice. It’s classic pooh and it’s under my piano. It used to be my sister’s and I snagged it when it was going to be donated. love it! hehehe, i love that people have their breed of dogs they love. it’s always interesting to me. And yeah i saw that picture it’s from when i lived in NC and it’s definitely 8th grade.. can’t believe i haven’t changed that much.! Those shoes are super cute – and the tights love them. I have the pure grit 2 and a couple pairs of the pure cadence 2. Great shoes. that sounds so fun! I’m trying to get form down with olympic lifts, it’s tougher than it looks! I love those shoes! I like any kind of shade of red so I can relate! Thank you for the nomination and sorry I’m reading a few days late. I have been nominated a few times and now I sweeeear I’m going to do it! But this upcoming week I’m going out of town so I already have my posts scheduled. Maybe Monday 2/17? 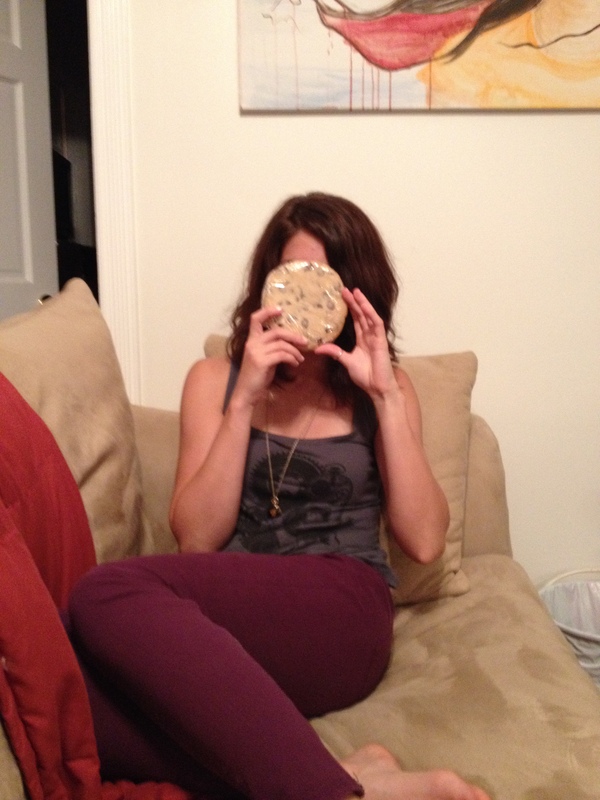 I have done the cereal-before-running thing and … yikes. Does not feel good. But cereal is so delicious!